Zip-N-Squeeze bags were designed for convenience and comfort for patients with facial and mouth surgeries who face difficulties with, or are unable to use, cups and straws for feeding. Designed specifically to be squeezed with no sucking required prevents pain, pressure and new incisions from bleeding. Gives jaws a rest and diverts liquid foods away from painful areas. 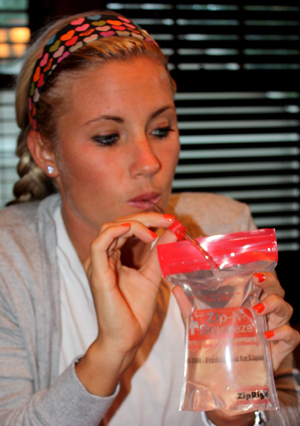 There is a Zip-N-Squeeze bag for liquid hydration, nutrition, medication and mouth care as well as one for pureed foods. Zip-N-Squeeze bags feature a soft, flexible tube which allows patients to gently irrigate difficult to reach areas where a toothbrush temporarily cannot be used. This provides a convenient method for frequent mouth care – you can mix whatever solution you prefer to use. 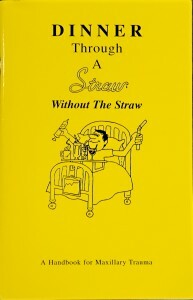 Swelling and pain can make it difficult for patients to drink from a cup, and discharge instructions usually state that patients should avoid using straws. Zip-N-Squeeze bags work wonderfully when filled with broth, liquids, protein drinks, medication, mouth wash and pureed foods. The pleated bottom allows the bag to stand upright, the pinch clamp prevents spills and the patented leakproof zipper will not rupture when pressure is applied. Call 800-824-0817 to order or contact us via email here. Find more information on our individual Zip-N-Squeeze products below.